How many of you have heaps of pictures on your hard drives and SD cards waiting to be printed? Raise your hand if you haven't swapped out the pictures in your frames in about 5 years. Well, rest assured, you are not the only one. I am right there with you. I have a list of framed pictures that I've been meaning to change, but whenever I have a free moment to spend on pictures, I crash in front of the TV instead. When I heard about Easy Canvas Prints' high quality prints and quick and easy ordering, I jumped on it. I was invited to order an 8x10" canvas print, and I had the perfect picture for it. I've been wanting to order a canvas print for a long time now. The timing was perfect. Online orders is super simple. 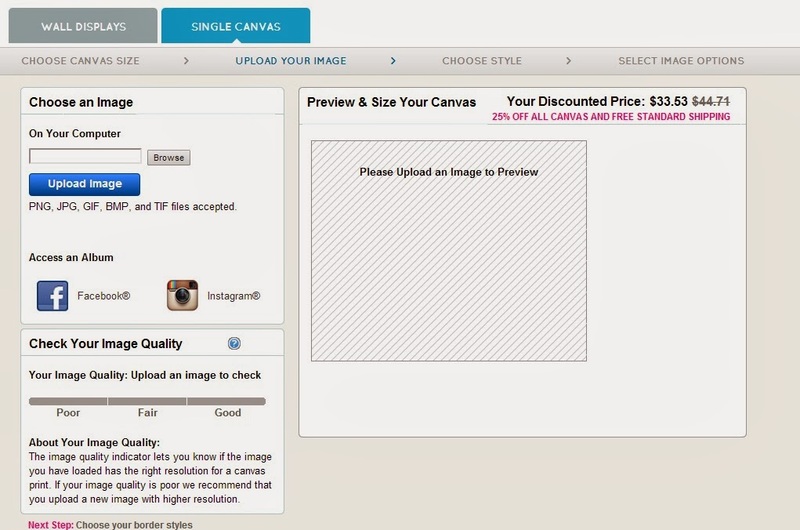 Go to www.easycanvasprints.com to begin. Click the "START YOUR CANVAS" button. 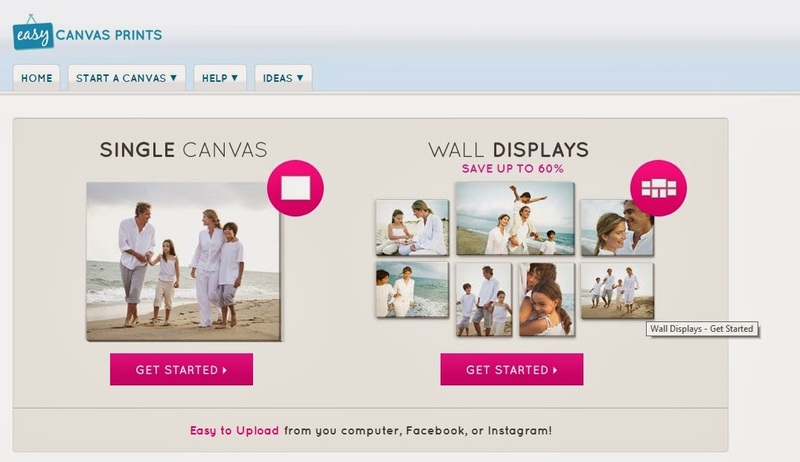 You can order either a single canvas or a collection of canvases to create a wall collage. I ordered a single canvas print. You can upload photos from your computer, Facebook, and even Instagram! 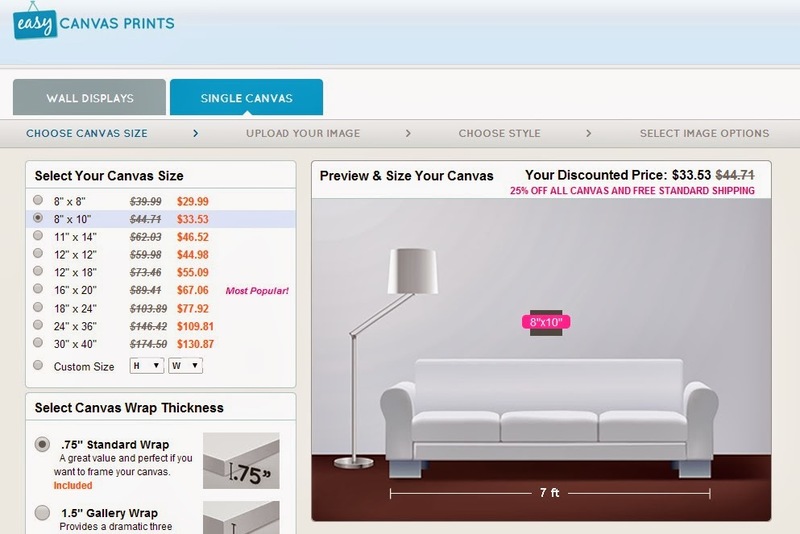 Then you can choose the size of the canvas that you want. My review offer was for an 8x10" canvas print. Once you select the size print you want, you can upload your photo. 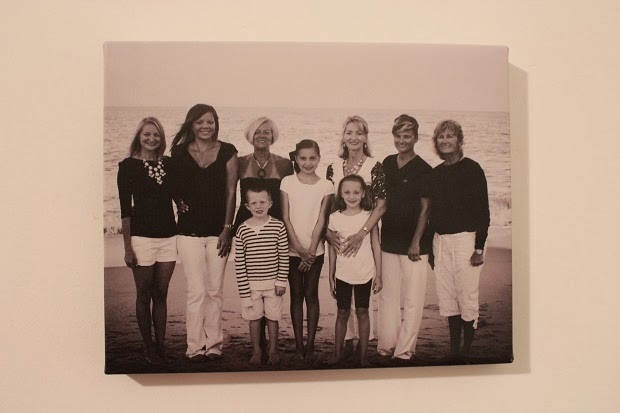 Easy Canvas Prints helps you identify when a print is of good quality. After you upload your photo, you choose the type of border you want, and that's it! Simple. Simple. Simple. There are several option, but honestly, the standard shipping gets the print to you in about a week. The print arrives, and it's time for the big reveal. I have to say that the pictures I took do not do the canvas print justice. It looks so much better in person than in a picture. I chose a black and white picture for my canvas print. It really looks fabulous though hard to tell in this photo. Trust me, you will be pleased with the print if you order from Easy Canvas Prints. 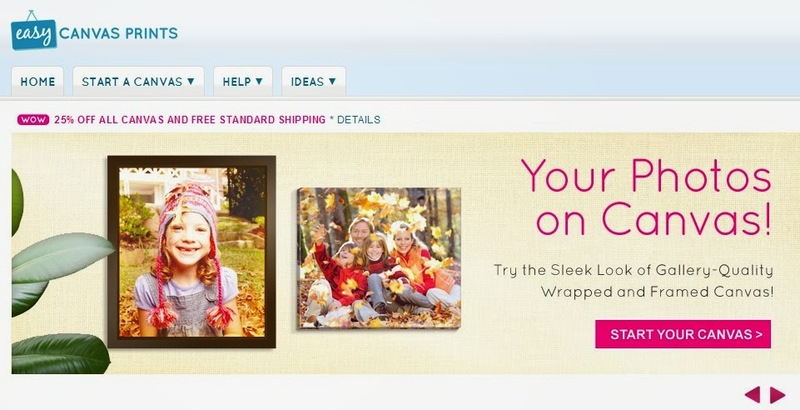 Easy Canvas Prints is giving one lucky Pieces of a Mom reader an complimentary 8x10" canvas print. The winner will receive a link via email to order a complimentary print. Winner will follow the same ordering procedure noted above. Shipping costs are pre-paid by Easy Canvas Prints. Note: I received a complimentary 8" x 10" canvas print from Easy Canvas Prints to facilitate this review. All opinions are my own.